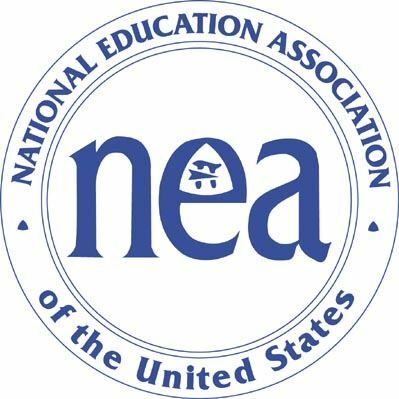 The 2019 Annual Meeting of the Association of Teacher Educators will be held in Atlanta, Georgia at the Sheraton Atlanta Hotel February 16-20. The theme selected by President Patricia Tate is Educators at the Forefront: New Dimensions for Clinical Preparation and Development of Educators. Click here to read more and get started with your registration. Click here to download a .PDF of the registration form which you can fax or mail with payment information. Click here to go to the online program. 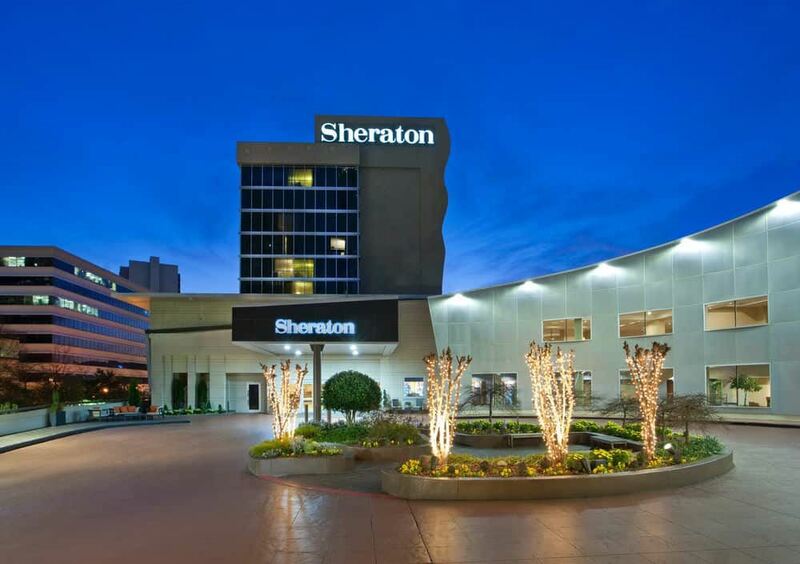 Experience Atlanta in an inspirational new way and enjoy the benefits of effortless hotel travel at Sheraton Atlanta Hotel. 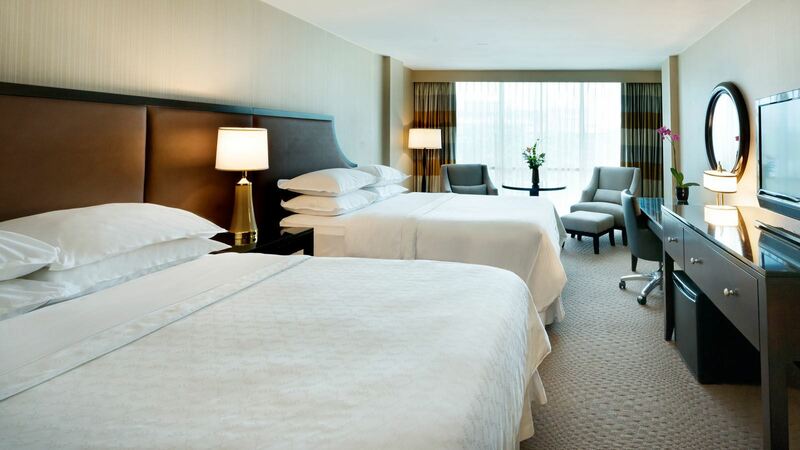 Southern charm and modern style blend impeccably in their expansive, completely renovated Atlanta hotel rooms and suites. Explore the best of downtown, then return for top-rated cuisine at Fandangles restaurant. 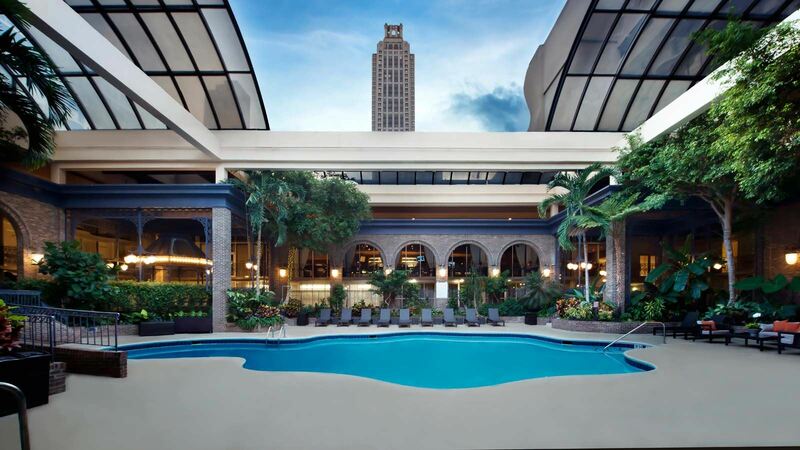 In addition, you can enjoy Sheraton Atlanta Hotel’s unique garden courtyard pool underneath a retractable glass rooftop. Click here for the link to the online reservation site from the hotel. Rate is $179.00 for 2 traditional double beds or king. The hotel is located at 165 Courtland Street NE, Atlanta, GA 30303. For guests who prefer to phone in their reservations, they may call the Reservation Center at 404-659-6500 to secure a reservation on ATE's group block. Currently the name of the group is listed as ATE 2019 Annual Meeting. ATE's 2019 Annual Meeting offers a terrific opportunity to reach teacher educators and those involved in teacher preparation at all levels. The Meeting/Exhibit Show will be held in the Georgia Ballroom Prefunction Space of the Sheraton Atlanta Hotel, 165 Courtland Street NE, Atlanta, GA, 30303. Sunday, Feb. 17: Exhibits Open 2:00 - 6:30 p.m.
Sunday Feb. 17: Exhibitor Reception 5:30-6:30 p.m.
Monday, Feb. 18: Exhibits Open 9:00 a.m. - 4:00 p.m.
Tuesday, Feb. 19: Exhibits Open 9:00 a.m. - 4:00 p.m.
Tuesday, Feb. 19: Dismantle 4:00 - 6:00 p.m.
Click here to download an exhibitor application with complete information. Deadline: December 15, 2018. 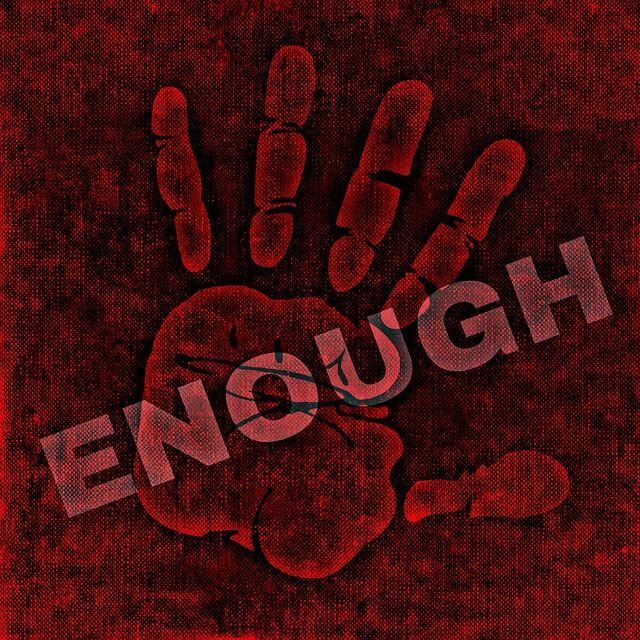 Four pre-conference workshops will be offered in Atlanta on Saturday, February 16 and Sunday, February 17 in advance of the 2019 Annual Meeting at the Sheraton Atlanta Hotel. The following are descriptions of the workshops. Click here for additional information on the workshops. All preservice students are welcome! The Association of Teacher Educators (ATE) preservice teacher strand is a wonderful opportunity for students! Individuals network, share experiences, interact and learn from nationally recognized educational researchers, teachers, and leaders. Preservice teachers will have the opportunity to learn about critical strategies and techniques that will enhance the likelihood for success as new teachers. Presentations are high-energy sessions that are research-driven and reality-based. The 2019 ATE preservice strand will be in Atlanta , GA on February 18th from 8:00am to 3:00pm. In addition, as a way of helping the community, ATE has approved a special rate of only $30.00 for students who attend this event. Please consider conveying our invitation to your students to be part of this educational and networking opportunity as well as sharing this invitation with others that may help by sending students. Students will not want to miss the opportunity. The online program is now available on our ATE App! 2: Enter the password provided in your registration email. Don't forget to mark your calendar for our Featured Sessions! We have some incredible guest speakers lined-up for our Annual Meeting! Click HERE to view the speakers' bios and links to their powerpoint/pdf presentations. A. Lin Goodwin is the Professor and Dean, the Faculty of Education, the University of Hong Kong and formerly Evenden Professor of Education, and Vice Dean at Teachers College, Columbia University (TCCU). 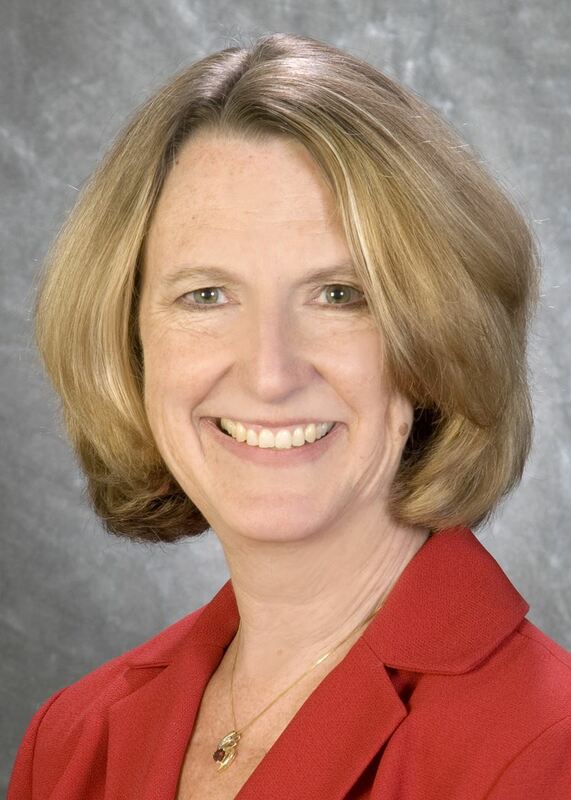 She is immediate past-Vice President of the American Educational Research Association (AERA)—Division K: Teaching and Teacher Education (2013-2016), and is co-director (and architect) of a joint MA in Educational Leadership and Change between TCCU and the National Institute of Education (NIE) in Singapore. She is the recipient of two multi-million dollar federal grants to support TR@TC, an innovative teaching residency program at Teachers College that she designed and launched in 2009. 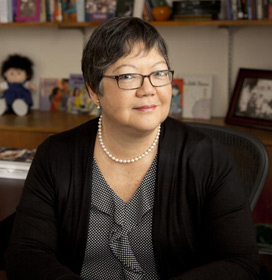 In 2015, Dr. Goodwin was honored as a Distinguished Researcher by AERA’s Special Interest Group: Research on the Education of Asian and Pacific Americans, and was also named the inaugural Dr. Ruth Wong Professor of Teacher Education, NIE. Dr. Goodwin’s research focuses on teacher and teacher educator identities and development; multicultural understandings and curriculum enactments; the particular issues facing Asian/Asian American teachers and students in U.S. schools; and on international analyses/comparisons of teacher education practice and policy. 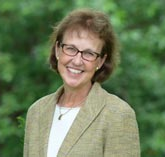 Her work appears in top education journals including the Journal of Teacher Education, Urban Education, International Journal of Educational Research, and Teachers College Record; she is the editor of several books. Recent publications include “Who is in the classroom now? Teacher preparation and the education of immigrant children,” in Educational Studies; and “Managing reform in teacher education” (with Kosnik and Beck), in The International Handbook of Teacher Education. Forthcoming is a new book: Empowered educators in Singapore: How high-performing systems shape teaching quality (with E.L. Low and L. Darling-Hammond); and “Educating all children in multicultural, multilingual Singapore: The quest for equity amidst diversity” (with E.L. Low), in The International Handbook of Urban Education. Faye Snodgrass is the Executive Director of Kappa Delta Pi. "KDP's ideals of high standards and integrity, unbiased thinking and teaching, and service are timeless. It is an honor to advocate for and support educators and the teaching profession, which continuously changes lives for the better." Click here for a pdf of Faye Snodgrass' presentation. 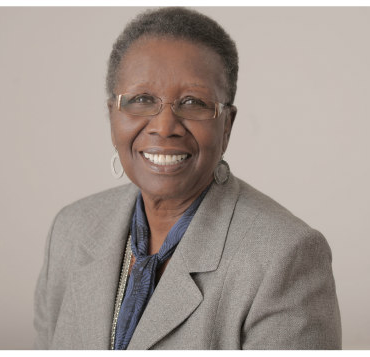 Kauffman Endowed Chair for Urban Teacher Education, Etta Ruth Hollins, Ph.D., UMKC School of Education, received a prestigious American Education Research Association (AERA) Fellows Award in April. Hollins has been at UMKC since 2009. Her research and scholarship interests include teaching and teacher preparation for diverse and underserved students in P-12 schools; and the design and redesign of preservice teacher preparation and professional development. Attendees at ATE's meetings have donated money to "give back" to the communities where the meetings are held. Please consider a donation when you register for the Annual Meeting in Atlanta. additional academic expectations, support mechanisms, rituals and traditions that cater to the complex academic and psychlogical needs of young women. 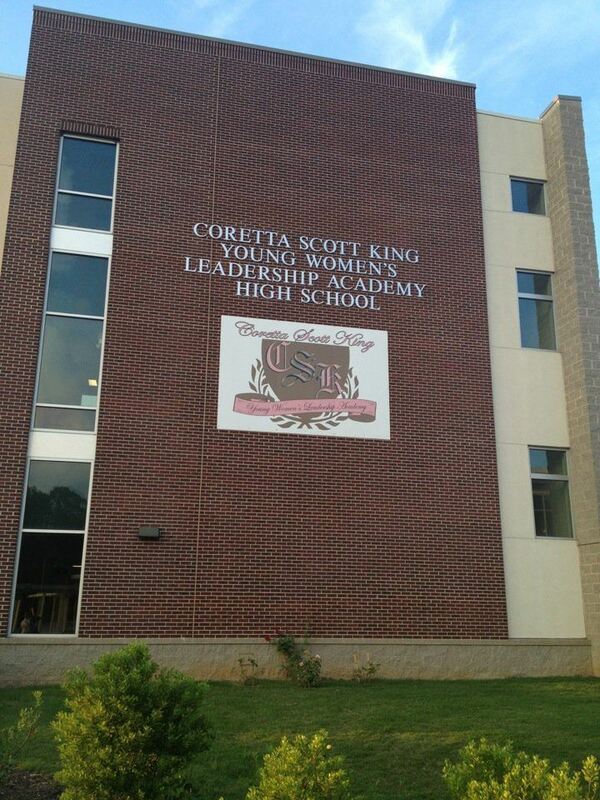 Coretta Scott King Young Women’s Leadership Academy graduates will enroll in and earn a post-secondary degree from a college or university. Our mission is to develop globally competitive leaders by providing a rigorous, college-preparatory curriculum.